My one hope for Tom Clancy's The Division was that its developers would learn from Bungie and the struggles they faced during the first year of Destiny. The first big update for the title, which introduced the Incursion event and a loot trading system along with a handful of other fixes and tweaks, arrived on Tuesday and initial reports are... well, it's a bit of a mess. 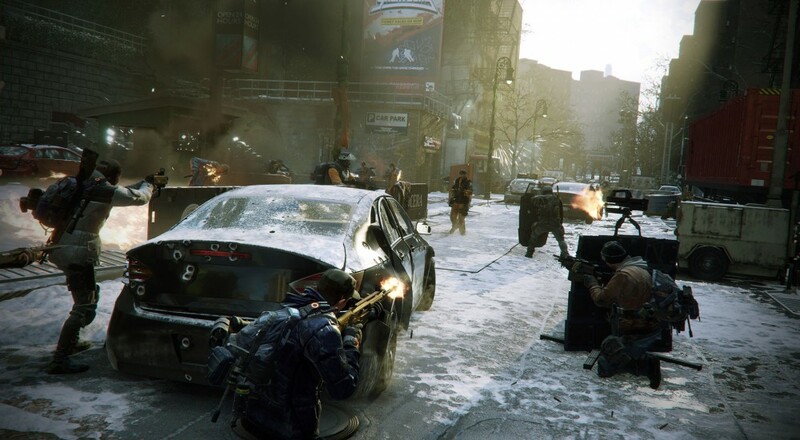 More "horde mode" than "raid," The Division's Incursion event requires players to have gear of a certain level in order to participate. This information was revealed in a patch a few weeks back and folks were anticipating that gear drops would be tweaked to allow endgame players to meet that requirement pretty quick. Despite wording in the updates leading up to, and including, the big one this month, many players are still finding gear that is sub-30 from the tougher enemies in the Daily/Challenge missions and the world at large. What's more, the Dark Zone has really become the cutthroat, lawless area that was promised, though perhaps not quite as intended. Unless you've got a group of friends that are very well geared, you're better off sticking with the PvE content and crafting system to get you the gear you need. All the players that have farmed the new Incursion event for the best equipment are now roaming the streets of the PvP area taking down any players that may be trying to get their gear level up to have a chance at the Incursion. Forbes has an article up that details some of the bigger issues players have encountered since the update launched, including characters being deleted on the Xbox One version and a (now patched out) bug that caused Challenging bosses to drop all "high-end" gear. I've definitely experienced the disappointing gear drops and the Dark Zone ganking first-hand, and while it's not quite as bad as Destiny's first few months, it's enough of a deterrent to drive me away from the game. Especially when I could go play Destiny if I'm looking for that "shoot-to-loot" gameplay. Hopefully Ubisoft and Massive are getting some good feedback from all of this and they'll be able to turn things around for The Division soon.